Introducing Adelaide's exciting party band, performing a fresh selection of songs from the Eighties to the Naughties and from todays artist, delivered with a skill and vibe that will have your venue or event pumping. CODERED is a fusion of some of Adelaide’s premier musicians and performers from the New Romantics, Red Henry, Kopy Katz and The Zep Boys. Its members are seasoned musicians who have a wealth of experience in the local industry and have performed in some of Adelaide’s most respected bands. 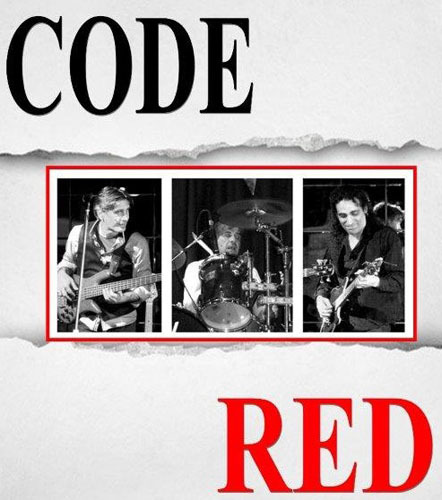 CODERED is committed to giving a high octane performance that is fun, engaging, and stacked with awesome songs. Here’s a small sample of the CODERED artist covered that’s proving a winner with audiences of all ages: Bruno Mars, Daft Punk, Ed Sherian, Foo Fighters ,Michael Jackson, Black Keys, INXS, Maroon 5, One Republic, Lenny Kravits, Sam Smith, Amici, Aerosmith, Train, Bon Jovi, David Bowie , Steely Dan Cold Chisel, and many more.